“Banging” produced by Saintlizzle is literally a ‘banging’ song. It is a song that will effortlessly make its way to the dance floor. 2Kay and Reekado brought their ‘A games’ into the studio and the synergy is quite audible. According to Mr. 2Kay, “this ‘banging’ audio has a video already that will be released in a few days from now. I can’t wait to share it with you all. When I said this is the #Elevated season, I meant it.”. 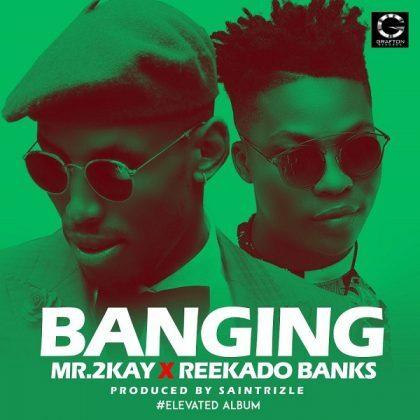 0 Response to "DOWNLOAD: Mr 2Kay - Banging ft. Reekado Banks"